Three aspiring developers turned on their computers and signed up for different online coding courses. All three were smart and determined and excited about switching careers by learning how to code. “Michael” Knew He was a Novice Coder. Michael signed up for a Web Development Basics course that matched his level of skill. The course had tens of thousands of students and was often mentioned in the news and blog posts as a great way to get started. The course even had an online code editor that gave him instant feedback about his code. And the lessons were fun - Micheal felt great showing his friends tic-tac-toe game he created just by following a guided tutorial. After several weeks Michael started to wonder if he was on the right track. His completed tutorials were functional, but ugly. He knew how to change the style of a page, but he was no designer. “Should I really be spending three weeks mastering CSS animations?”, Michael wondered. He searched through local job postings and couldn’t find employers who needed what he was learning. Instead he saw that employers were using front-end frameworks like Bootstrap to get projects up-and-running quickly. Michael immediately felt discouraged. He’d spent weeks learning basic skills that no job would pay for. “James” was a little more experienced. James had been dabbling in code for years and even built a few Excel macros for work. Michael was more concerned about future-proofing his career than starting from the very beginning, like Michael. So he looked for a list of the fastest growing technologies and signed up for the best course he could find. He struggled through the lessons because the instructor assumed a lot of previous knowledge. Many of the examples included comparisons of Node to other frameworks. But this was the first framework for James - he didn’t have any baseline to compare this new technology too. 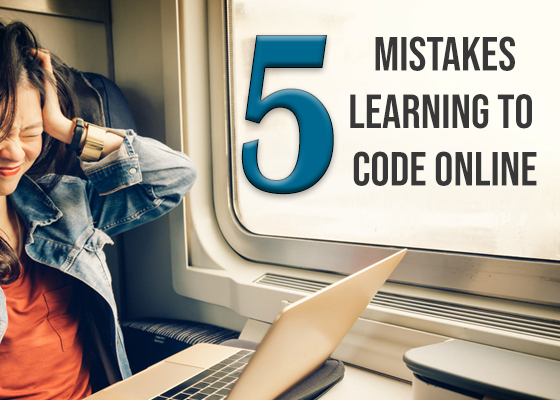 Even worse, the course skimmed over other basic topics like setting up your development environment and using version control. “Jordan” was the only one who got a coding job. Unlike Michael and James, Jordan began by talking to tech recruiters and searching through job postings. She didn’t want a basic course that didn’t matched the skills required. And she didn’t want a course that taught bleeding edge technology. No, Jordan looked for a course that would teach her the exact technology stack that the most employers were hiring for in her area. As a junior developer Jordan knew she’s need the many “at bats” to get one “home run” and win a job. So she did her research and choose a course that teaches the .NET stack. The course taught basic HTML and CSS like Michael’s courses, but in context of building a full application real world tools and frameworks were used, so Jordan was able to master the easy problems quickly, and spend most of her time learning the tough issues employers rely on developers to solve. Like James, Jordan was very interested in new technology. However, she planned to get a job first, then explore new things as a professional, rather than a novice. Can you relate to Michael, James, and Jordan? All three of them were capable of becoming developers. And the courses they signed up for were high quality and useful. Michel made the mistake of spinning his wheels by deep diving into basic skills. James made the mistake of overwhelming himself with advanced concepts. Jordan did the right thing by learning a stack of coding languages that matched what employers are looking for.